Today I am excited to share a simple and very useful DIY with you! We all have these walls in our homes that we don’t know what to do with, right? In Jeremy’s studio there was one such wall above this small side table. Originally I was planning one large print for this space, but since there is already a big photo in another part of the room, it just didn’t feel right. The idea of photo ledges appealed to me because the art could be changed from season to season, and what’s even better is it doesn’t ALL have to be art. For these photos, I threw a few favorite records up there, but I think some framed sheet music or other personal mementos would also be nice. And of course, we printed some special photos as well! This post is part of our long-running work with the amazing folks at Canon USA, and I used my personal favorite printer, the Canon PIXMA iP8720 Crafting Printer for the photos you see up there. I love having the large format to print multiple photos on a page. It gives me a little more freedom with the sizing. -jigsaw, chop saw, or have the nice people at the lumber store cut it to size for you! Measure how long you want your ledge to be and cut all three of your board sizes to that exact length. 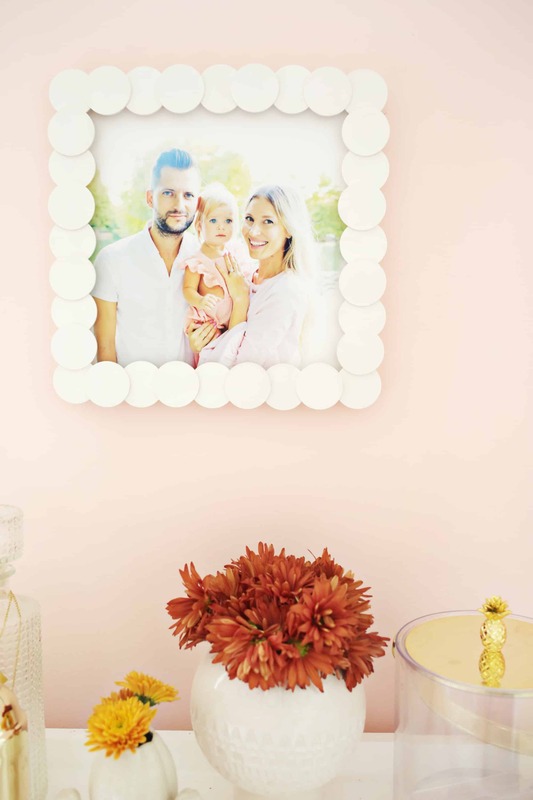 To create the back and bottom of your photo ledge, glue and clamp the side of the 1″ x .75″ board to the edge of the 2.5″ x .75″ board. Allow the glue to set a few minutes. Use some wood screws to securely attach the smaller board to the larger one through the back of the larger board. This back side is also the back side of your ledge, so the screw heads won’t show when done. Use more glue and clamps to clamp the edge of the 1.5″ x .5″ board onto the other open side of the 1″ x .75″ board. Allow the glue to set for a few minutes. Once the glue is set, remove the clamps and drive a few small nails into the edge of the board to keep the front board secure. Attach some keyhole hangers onto the back of your ledge for hanging, and paint or stain your boards whatever color you choose. 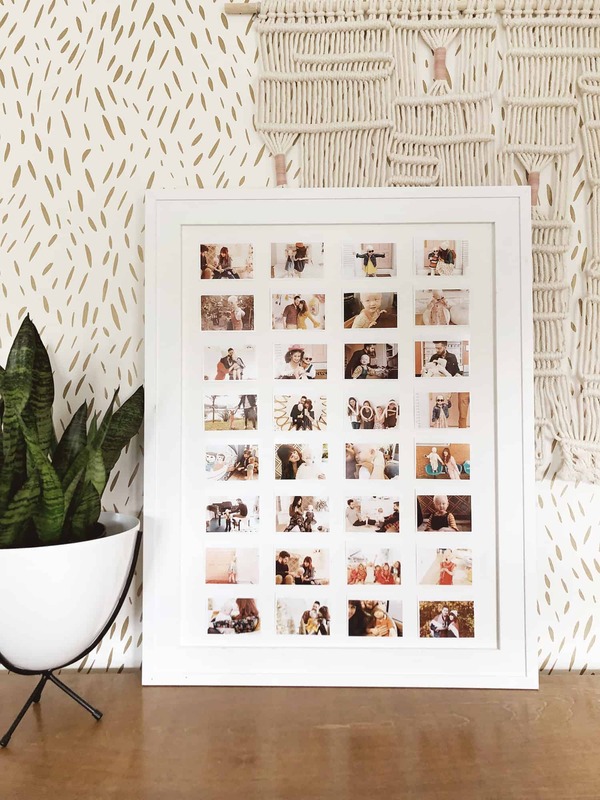 Now you’re ready to hang and add your photos! I love how it turned out! This is a project that can be done in a day, fit to the exact size of YOUR space, and makes a huge impact in the room on a small budget. Love the simplicity and elegance. Such a classy touch to any room! 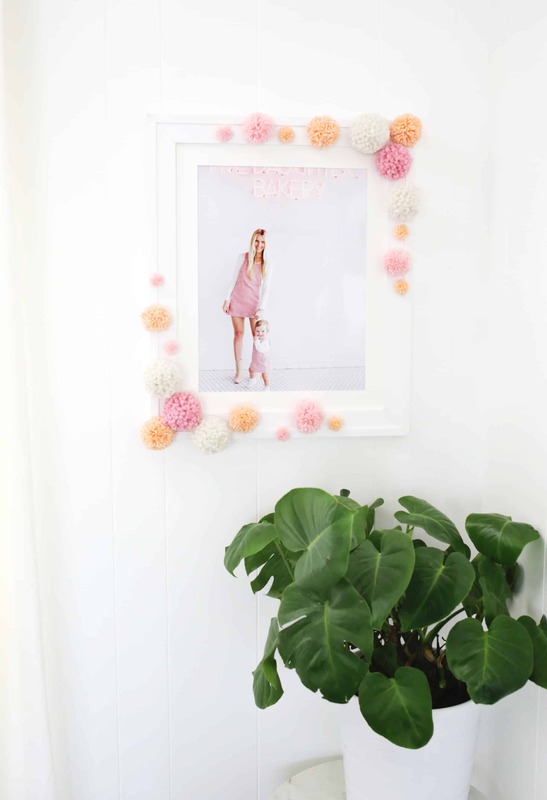 Makes a great alternative to a gallery wall! Thank you so much Hanna!! I agree! They’re almost to too pretty to hide!!! I love this! I just saw the adorable white planter in your Snapchat and LOVE this rectangular planter! I’m new to the plant game and have been looking around to find some great ones and have been coming up short. Are there certain stores you look at or is it more local shops? What an easy and yet beautiful DIY. I love it! Love this. You always have the best DIY projects. I would just like to ask where did you get that nice looking console table? Where did you put the keyhole hangers? To where the screws don’t go through the shelf? Where did the table come from? It’s gorgeous and would love to purchase it myself. Hi! It’s from West Elm.